My back to back reviews today focus on the same writer, but very different books. 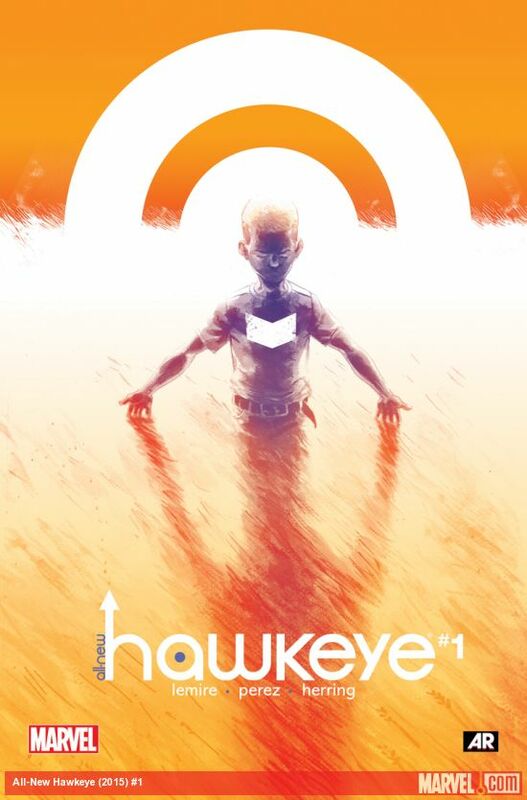 This time around, we tackle Jeff Lemire’s All New Hawkeye #1 from Marvel Comics. With artist Ramon Perez (Tale of Sand), Lemire takes on the archer Avenger in a brand new series, and he hits his mark all the way. This is the newest series that focuses on Clint Barton, also known as Hawkeye. The book focuses on Clint with his protégé Kate Bishop, a former Young Avenger, as they tackle a secret HYDRA base. This story is told in tandem with a glimpse into Clint’s abusive childhood as a runaway, and how it all leads up to the life of a criminal turned hero. Lemire gives us plenty of action, insight and arrows, just as we would hope in a book dedicated to Marvel’s premiere archer. But the insight into Clint’s past, it shows what made the man behind the sunglasses. Now for art, I should be frank about this, I have been preaching about Ramon Perez’s artwork since I first read his Archaia book, Tale of Sand. Perez’s artwork is so fluid and mesmerizing, he has quickly become one of my favorite artists out there. This book is no different, as we see Perez switch between bright, frantic fight scenes told in the here and now, to beautifully illustrated flashbacks that harken back to his work on Tale of Sand. Beautifully done, the artwork alone would be enough to buy this debut issue, but with Lemire’s uncanny writing ability on board as well, this is a one-two punch of creativity. This book does tie in to the previous Hawkeye title, so if you aren’t too familiar with the characters there, there are parts of this issue that may confuse you a bit. That is the only bad thing I have to say about this book. It’s an action packed start to a new chapter in Hawkeye’s life, and the future looks bright indeed. I give All New Hawkeye #1 a @@@@ out of FIVE. It’s the best book I have picked up from Marvel in months, and that is saying a lot with the amazing titles they have been releasing.